Renderings courtesy of Fred Fisher and Partners. 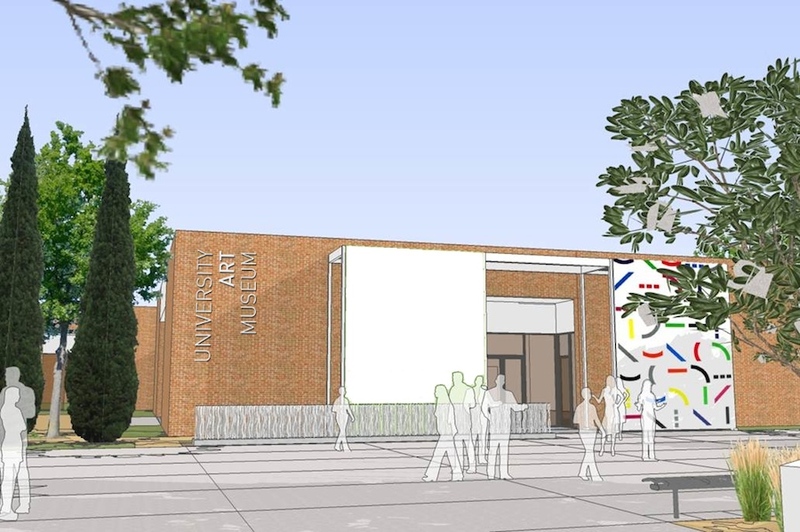 Cal State Long Beach (CSULB)’s University Art Museum (UAM) is receiving a much-needed facelift and expansion by way of a new entrance and plaza as well as an expansion of gallery space which will break ground next Thursday. Fred Fisher and Partners (FFP)—the people behind the mid-mod-but-contemporary Annenberg Community Beach House as well as the second phase of the West Hollywood Park—will act as the designers for the upgrade. FFP keep true to Edward Killingsworth’s master plan he designed for CSULB: mid-century modern clean lines with open, accessible spaces, while adding some 3,000 sq. ft. of additional gallery space. UAM’s gallery will expand into the Steve and Nini Horn Center, providing the museum the first chance in its history to regularly display works from its permanent collection. Art lovers will rejoice at knowing that the expansion makes way for the long-term display of works from UAM’s Hampton Collection—artists ranging from Warhol to Lee Krasner, Stuart Davis to Gottlieb—for the first time in fifteen years. Removing the wall which hid the glass entry into UAM, two massive panels—acting as canvases should artists want to express themselves outside the gallery walls—flank the front entrance in true Killingsworth post-and-beam style. Part of the problem with UAM’s accessibility is that it is fairly hidden—to the point where one can walk by without remotely noticing its existence. That, in turn, prevents student interaction on a larger level. The hope for the new space involves not just luring students into UAM’s gallery spaces but an activation of the outside plaza with concerts, performances, and wi-fi access so that students simply sit and hang out.